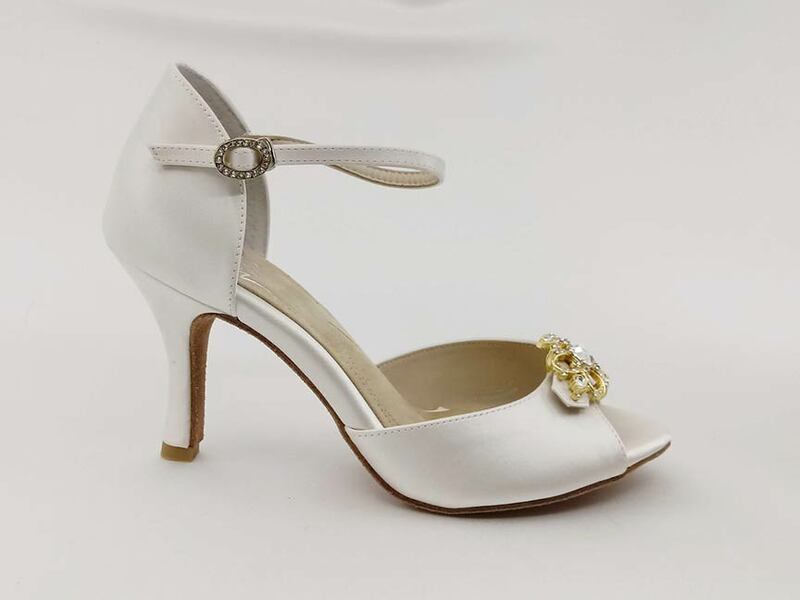 Beautiful Astoria sandals glisten with crystal brooches. 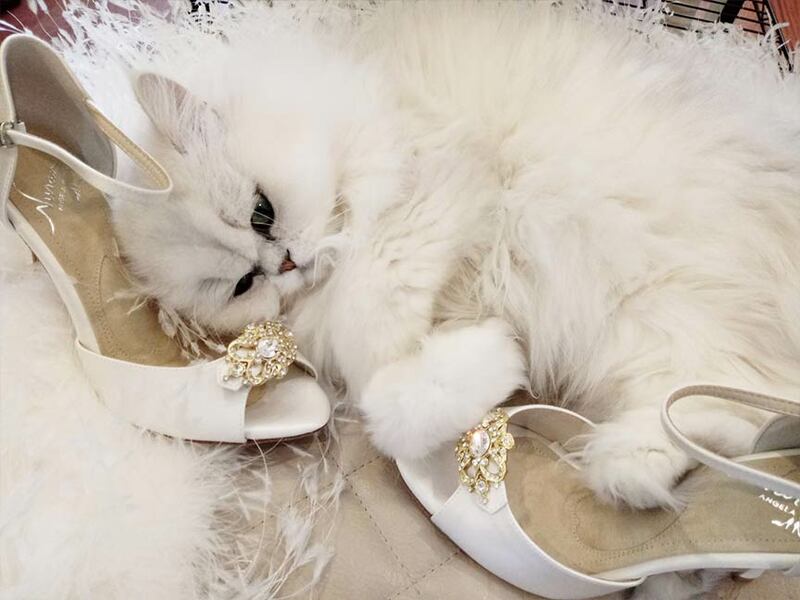 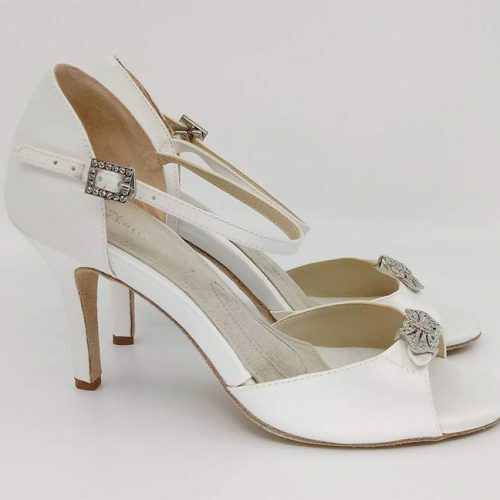 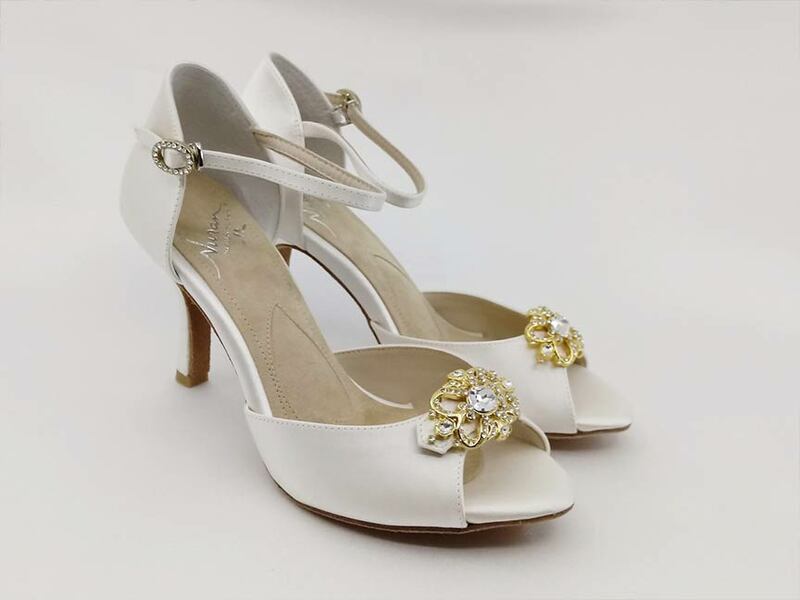 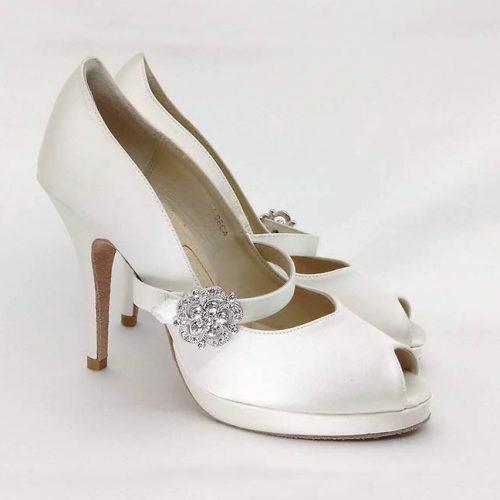 One of our long standing favorite styles among brides, moms and ladies seeking a classic evening shoe. 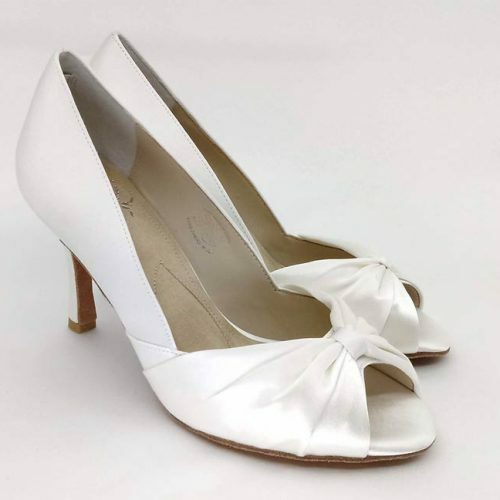 It’s still in our current collection, but the pairs listed here have a small flaw or variation not found on a perfect, full price salon pair. 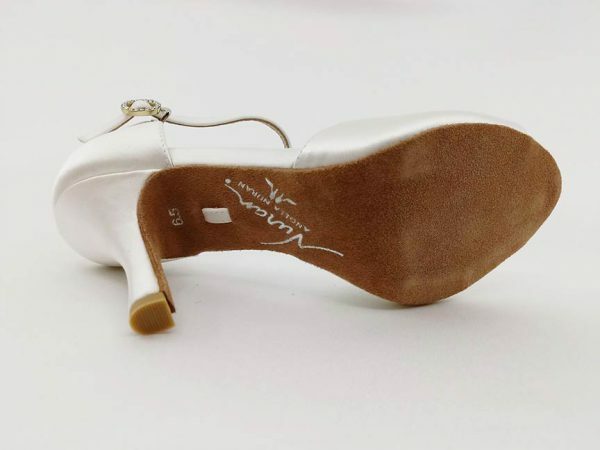 Remember any Angela Nuran brooches can be switched out if the brooch that comes with the listing isn’t what you have in mind. 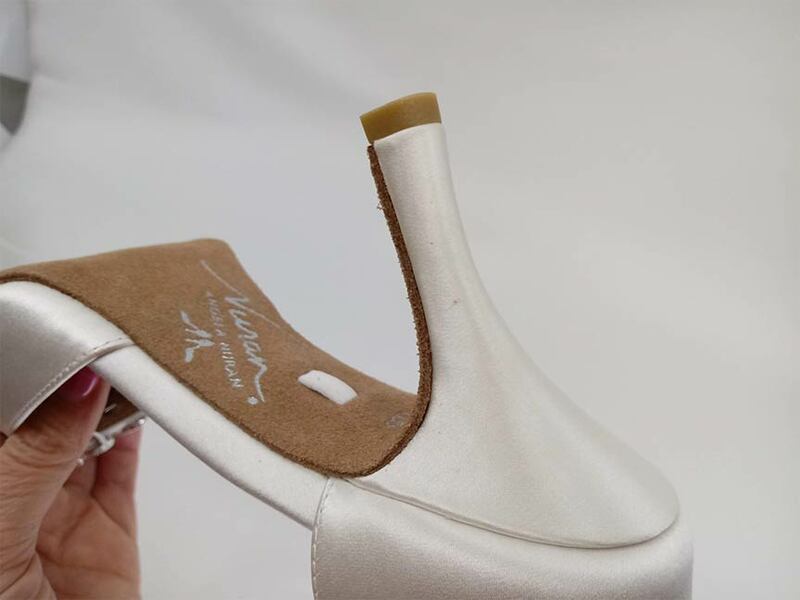 Heels are 3.25” height.